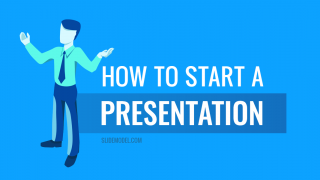 Knowing how to start a presentation is crucial: if you fail to capture the audience attention right of the bat, your entire presentation will flop. Few listeners will stick with you to the end and retain what you have told. That is mildly unpleasant when you are doing an in-house presentation in front of your colleagues. But can become utterly embarrassing when you are presenting in front of larger audiences (e.g. at a conference) or worse – delivering a sales presentation to prospective customers. Here is how most of us begin a presentation: give an awkward greeting, thank everyone for coming, clear our throats, tap the mic and humbly begin to mumble about our subject. The problem with such opening performance? It effectively kills buries even the best messages. Let’s say you have most of your presentation slides all polished up (in case you don’t, check our quick & effective PowerPoint presentation design tips first). Your presentation has a clear storyline and/or agenda. 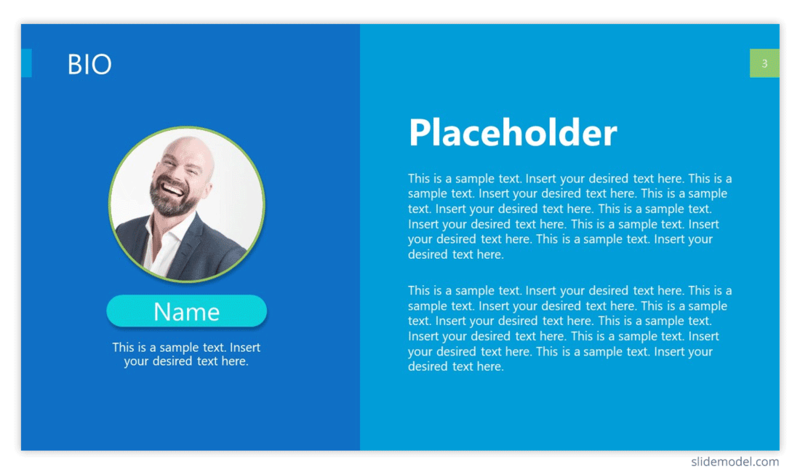 Main ideas are broken into bite-sized statements for your slides and complemented with visuals. All you have left is to figure out how do you begin presenting. The best way is to appeal and invoke certain emotions with your audience – curiosity, surprise, fear or good-old amusements. And here’s how it’s done. For when you don’t feel like re-inventing the wheel, use a classic trick from the book – start with a quick personal introduction. Don’t want to sound as boring as everyone else with your humble “Hi, I’m John, the head of the Customer Support Department”? Great, because we are all about promoting effective presentation techniques (hint: using a dull welcome slide isn’t one of them). Here’s how to introduce yourself in a presentation the right way. a. Use a link back memory formula. 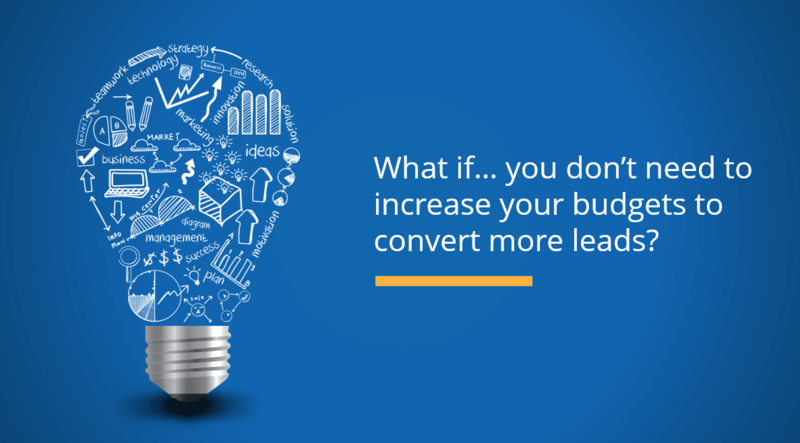 To ace a presentation, you need to connect with your audience. The best way to do so is by throwing in a simple story showing who you are, where you came from and why the things you will say matter. The human brain loves a good story, and we are more inclined to listen and retain the information told this way. Besides, when we can relate to the narrator (or story hero), we create an emotional bond with them, and again – become more receptive, and less skeptical to the information that is about to be delivered. My name is Joanne, and I’m the Head of Marketing at company XYZ. Five years ago I was working as a waitress, earning $10/hour and collecting rejection letters from editors. About ten letters every week landed to my mailbox. You see, I love words, but decent publisher thought mine were good enough. Except for the restaurant owner. I was very good at up-selling and recommending dishes to the customers. My boss even bumped my salary to $15/hour as a token of appreciation for my skill. b. Test the Stereotype Formula. This one’s simple and effective as well. Introduce yourself by sharing an obvious stereotype about your profession. This cue will help you connect with your audience better, and make them chuckle a bit and set a lighter mood for the speech to follow. “My name is ___, and I am a lead software engineer at our platform [Your Job Title]. And yes, I’m that nerdy type who never liked presenting in front of large groups of people. I would rather stay in my den and write code all day long. [Stereotype]. After sharing a quick self-deprecating line, you transition back to your topic, reinforcing the audience attention. Both of these formulas help you set the “mood” for your further presentation, so try using them interchangeably on different occasions. Wow your audience straight off the bat by sharing something they would not expect to hear. This may be one of the popular first-time presentation tips, but don’t rush to discard it. Because here’s the thing: psychologically we are more inclined to pay attention to whenever presented with an unexpected cue. When we know what will happen next – someone flips the switch and lights turn on – we don’t really pay much attention to that action. But when we don’t know what to expect next – e.g. someone flips the switch and a bell starts ringing – we are likely to pay more attention to what will happen next. Same goes for words: everyone loves stories with unpredictable twists. So begin your presentation with a slide or a line that no one expects to here. a. Open with a provocative statement. It creates an instant jolt and makes the audience intrigued to hear what you are about to say next – pedal back, continue with the provocation or do something else that they will not expect. 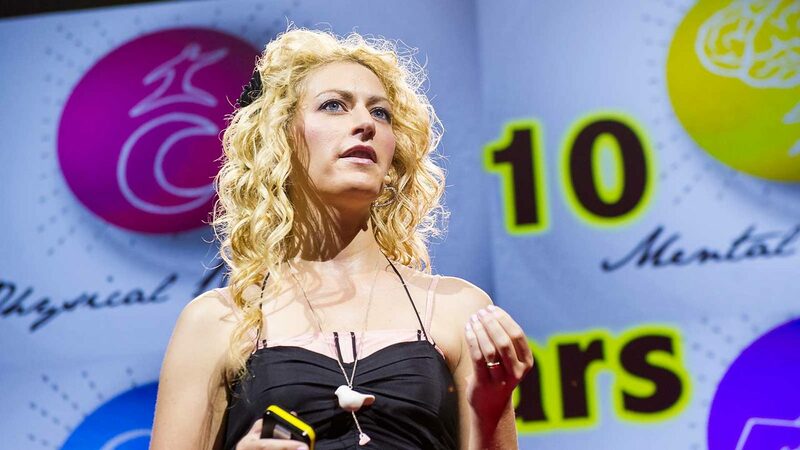 That’s how Jane McGonigal opens one of her TED talks. Shocking and intriguing, right? b. 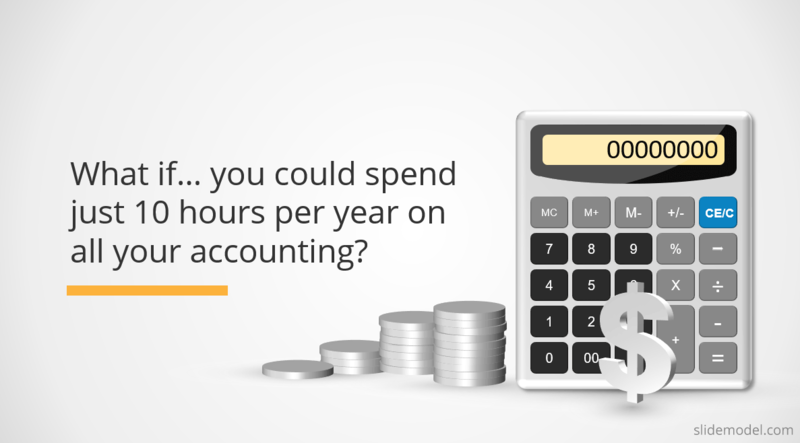 Ask a rhetorical, thought-provoking question. Rhetorical questions have a great persuasive effect – instead of answering aloud, your audience will silently start musing over it during your presentation. They arose curiosity and motivate the audience to remain attentive, as they do want to learn your answer to this question. To reinforce your message throughout the presentation, you can further use Rhetorical Triangle Concept – rhetorical approach to building a persuasive argument based on Aristotle’s teachings. Compelling visuals are the ABC of presentation design – use them strategically to make a bold stamen at the beginning and throughout your presentation. Your first presentation slide can be text-free. Communicate your idea with a visual instead – a photo, a chart, an infographic or another graphics asset. Visuals are a powerful medium for communication as our brain needs just 13 milliseconds to render what our eyes see, whereas text comprehension requires more cognitive efforts. A relevant images ads additional aesthetic appeal to your deck bolsters audience’s imagination and makes your key message instantly more memorable. Alternatively, you can use an equally powerful “Imagine” word. “Imagine”, “Picture This”, “Think of” are better word choices for when you plan to begin your presentation with a quick story. Share emotions with the characters and even mimic the feelings and behaviors of those characters afterwards. That’s why good action movies often feel empowering and make us want to change the world too. By incorporating a good, persuasive story with a relatable hero, you can also create that “bond” with your audience and make them more perceptive to your pitch – donate money to support the cause; explore the solution you are offering and so on. Not everyone is a fan of such titles. But the truth is – they do the trick and instantly capture attention. Curiosity gap sparks our desire to dig deeper into the matter. We are explicitly told that we don’t know something important and now we crave to change that. Curiosity is an incredibly strong driving force for action – think Eve, think Pandora’s Box. 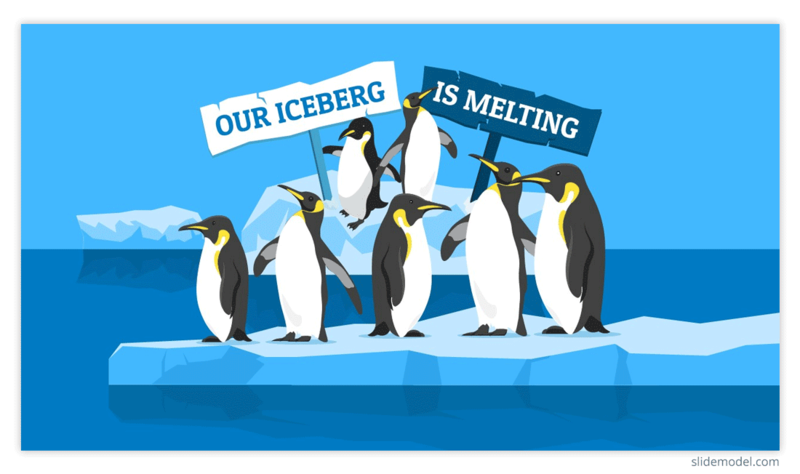 So consider incorporating these attention grabbers for your presentation speech. You can open with one, or strategically weave them in the middle of your presentation when you feel like your audience is getting tired and may lose their focus. Start telling a story, pause at the middle and delay the conclusion of it. Withhold the key information (e.g. the best solution to the problem you have described) for a bit – but not for too long as this can reduce the initial curiosity. Introduce an idea or concept and link it with an unexpected outcome or subject – this is the best tip for opening a presentation. 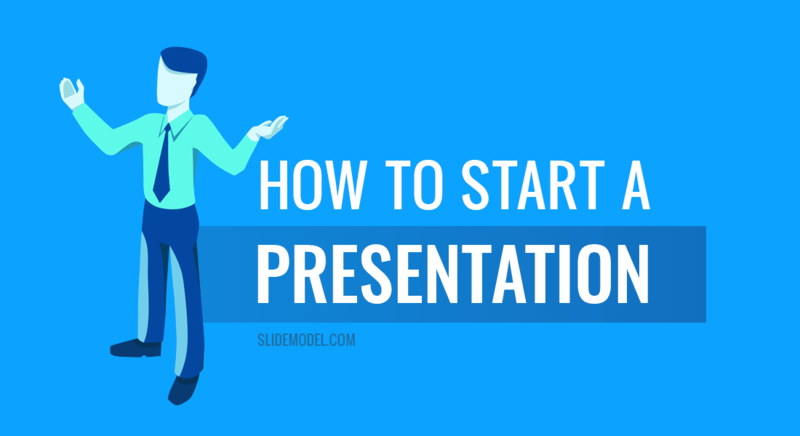 Now you know how to start a presentation – you have the opening lines, you have the slides to use, and you can browse even more attractive PowerPoint presentation slides and templates on our website.